Outdoor BBQ’s, especially in the summertime, makes a wonderful get-together with your closest friends and family. That said, it definitely has the potential to burn quite a big hole in your pocket. If you don’t pay close attention, the costs related to this activity can really add up. Here’s where this post comes in. From ways to cut costs on grills to ingredients, I will be sharing some simple yet effective BBQ related tips that may help you save money. Read on! Big or small? Charcoal or gas? You may not already know this but when it comes to selecting a BBQ grill, it’s critical to choose one that suits your needs. For example, if you plan on only having some occasional BBQs, maybe for a few friends or a small family gathering in the backyard, I would suggest going for a small and compact griller. They are much cheaper than the usually larger and more professional grill but it certainly gets the job done. Also, if you won't be using it often, maybe once or twice a year, choosing a charcoal grill will reduce the average cost by USD70 over a gas grill. That said, you can spend a relatively low amount only if you grill a few times a year, this is because the charcoal by itself is actually more expensive than gas. 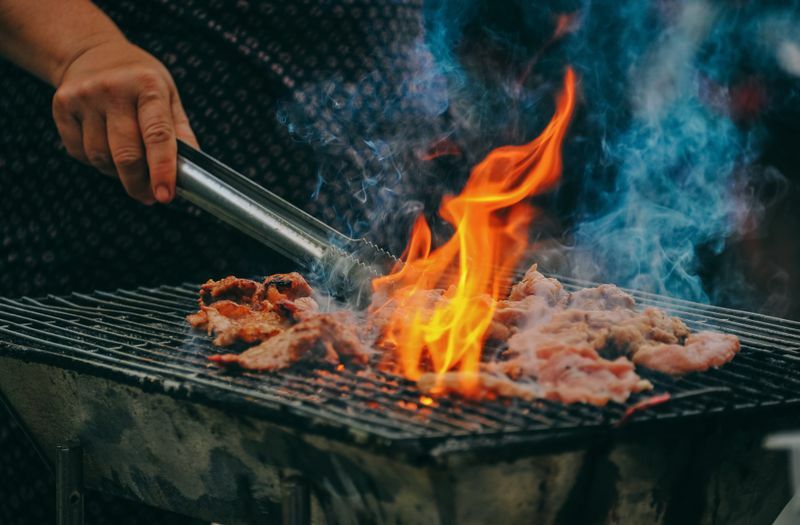 However, if you are a barbecue fanatic and planning to grill often, spending your money on a big grill will actually be more budget-friendly in the long run. You can also opt for an offset smoker priced under USD1000 – you’ll easily find a wide range to choose from on eBay. Alternatively, you can also visit a hardware store like Ace or Home Depot so you can compare various types in person. 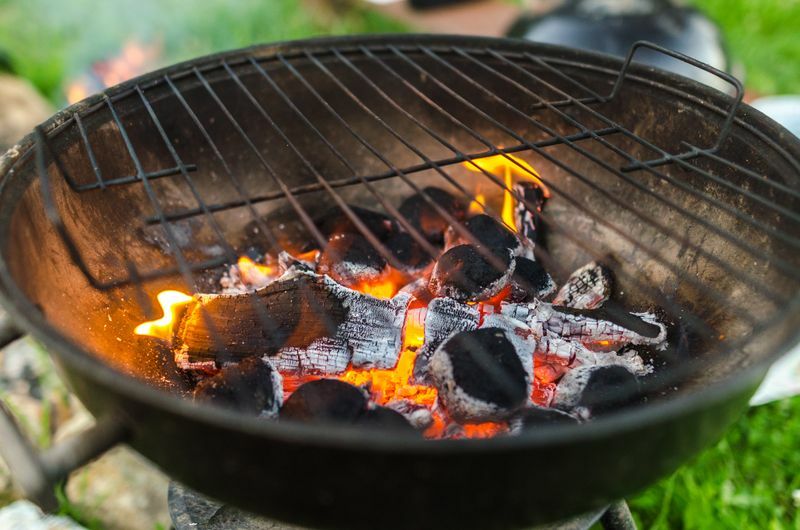 Tip: To correctly measure the amount of charcoal to use, check how much food you’ll plan to cook and the gauge the amount required after (Unless you’re inviting a lot of people, note that commonly a whole bag isn't needed to fill a grill). Also, be sure to close the lid for a faster cooking time. This way, that bag of charcoal will last longer and you can use the remaining amount for more cookouts to come. 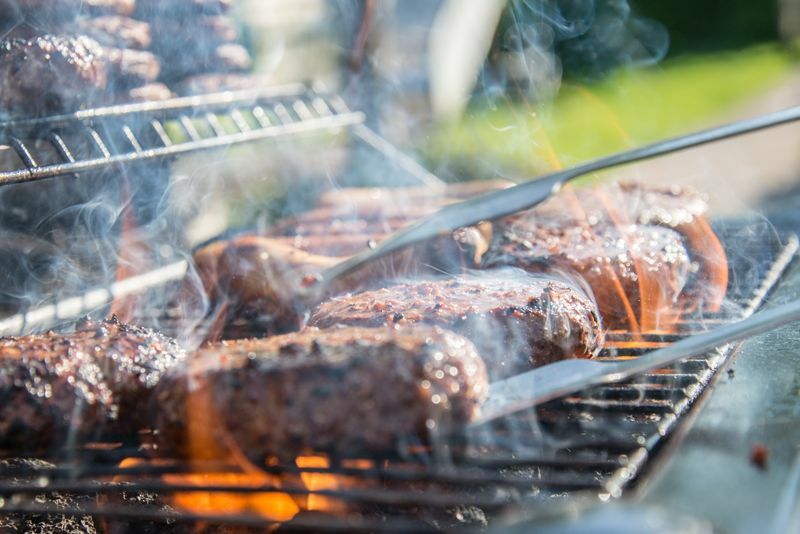 In the case of gas grills, you should know that only the 5 first minutes are crucial to generate enough heat. So, turn the flame up and then, close the lid and put it on low heat. Anything you cook will be tender, delicious and perfectly cooked. As a bonus, the cost of the gas would likely to be significantly reduced. If you want to save a bit of money, you can also opt to cook a bit more than needed so you’ll have enough for some lunches and dinners to enjoy for the next couple of days of the week after your bbq. Sure, it sounds simple, but you’ll be pleasantly surprised as to how cost-effective it can be! By doing this, you can help to stop from burning a big hole in your pocket especially if you often hold grilling sessions. When it comes to cleaning your grill, saying, "ah, I’m tired let’s just do it tomorrow – it won't hurt" is simply not good enough. Make sure to clean it thoroughly every time before and after each use. By doing this you may be able to extend the life of your grill beyond the average 5 short years. It’s cost effective because you probably won’t have to buy a second grill in your lifetime. Take good care of your grill and it will serve you well. Are lots of your family and friends coming to the BBQ? Know that it’s totally OK to ask them to bring a dish or two or maybe even drinks to contribute to the spread you’ll be preparing for the party. This way, you’ll get a variety of dishes that everyone, young or old, carnivores or vegans, can enjoy. This of course also takes away a portion of the ‘burden’ of your hands – which includes a financial one! You can also save a ton when you choose a cheaper cut of meat; they are equally delicious and more affordable. For example, instead of the more expensive boneless chicken breast, go for the legs and thighs as they easy to prepare and makes a tasty addition to the other meats you’ll be grilling. As for beef, do try the flank steak, tri-tip, and skirt. They are budget-friendly in comparison to many other cuts of beef. When it comes to comparing beef ribs vs pork ribs, while beef is meatier than pork, it is also chewier and trickier to prepare and usually, it takes longer to cook/grill. Pork meat is not only juicer and more tender, but it is also cheaper. So if you’re looking for a red meat that is more cost-friendly, I would suggest opting for pork. Another tip I would like to share that it really ‘pays’ to ask your butcher for their recommendations. They may be able to tell you when the most expensive cuts will be on sale as well as the cheaper options of meat that will be ideal to grill. Another good trick is to embellish the cheap and all timers of grilling: hamburgers and sausages. Make your own hamburgers, and try combining meats, beef, and lamb, pork and beef. You will experience a new set of deliciousness, and your guest will notice it is not a simple hamburger. As for the sausages, cut them in half lengthwise and out some cheese on them to melt. It's new, and it deceives the eyes. Serve lots of fruits and veggies! 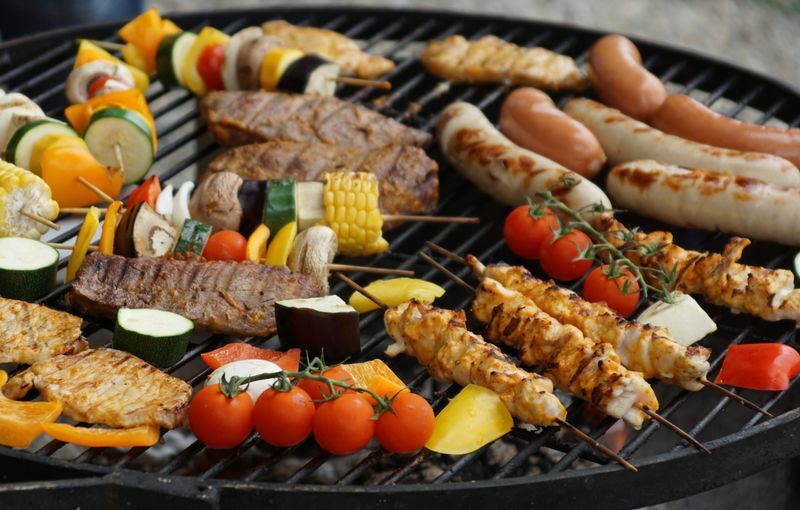 Sure, most people think of meats when thinking about BBQs but a great way to save money as well as to make your BBQ sessions healthier, make sure to serve lots of vegetables and fruits. Zucchini, asparagus, capsicum, sweet potatoes, corn on the cob, are just some of the many choices that taste wonderful once barbecued. Whereas for fruits, some ideal choices include pineapples, watermelons, peaches, bananas, and pears. Fruits and vegetables are healthy, juicy but above all, affordable! Also, they will surely please your vegetarian or vegan friends! So, be sure to grill and serve them at your next BBQ get together. 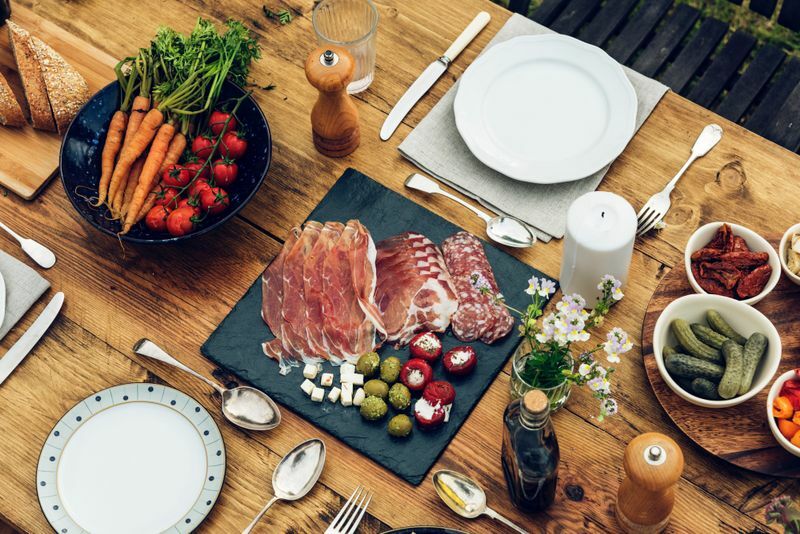 An outdoor BBQ party makes an enjoyable experience to share with those dear to you but it doesn’t necessarily need to break the bank. Feel free to try out the tips that I shared above and do a bit of research for even more great money saving tips! In short, make smarter choices and you’ll likely to easily cut costs on your grilling activities. Enjoy! Want more tips from Mary? Check out more of her posts on JosephineDc’s! Interested in preparing a healthier yet mouthwatering BBQ? Sign yourself up for an organic culinary vacation where you will learn how to whip up tasty and healthy dishes! Mary is a chef and a mother. She aims to share lots of content on food and kitchen related topics with other food lovers. Though she loves all types of food, most of her recipes focus on using healthy ingredients. Mary is also a contributing writer at JosephineDC’s (JosephineDC.com).